Many people I know (myself included) are Chase loyalists. Chase is a solid financial institution – and beyond their portfolio of banking products, they excel in offering a superb collection of rewards-earning credit cards that rival the competition. But when it comes to banking, you could probably open a checking account with any of a dozen nearby banks. You may want to consider Chase, however, for the long-term value a Chase relationship can provide. The whole financial package offered by Chase leverages your ability to manage your finances economically. It also allows you to earn valuable rewards with their credit cards and collect cash bonuses for opening new accounts and referring friends. We’re going to focus on personal checking accounts here because it’s the perfect place to start a relationship with Chase. Let’s get started with an overview of Chase personal checking options and see which may be right for you. When deciding on a bank to open a personal checking account with, you might want to consider the whole package and what the relationship can do for you in the future. Selecting Chase can be a prudent financial move for a lot of reasons. Bottom Line: Chase offers all the convenience, technology, and security you would expect from any solid financial institution. Above and beyond that is their superb industry-leading portfolio of rewards-earning credit cards. The benefits of having a Chase checking account are many. Image courtesy of Chase. An obvious place to begin establishing a financial relationship with Chase would be to open a Chase checking account. You’ll have several options depending on your financial situation and preferences. If you’re a student or a military member, you’ll find special accounts that are tailored specifically to your needs. Let’s take a look at the checking account options available at Chase. Chase has a checking account to fit any financial situation. Image courtesy of Chase. The most popular Chase checking account is Chase Total Checking®. Maintain an average beginning day balance of $15,000 or more in any combination of this account with linked qualifying Chase checking, saving and other balances. Hot Tip: A Chase Premier Plus Checking℠ account can work well as a family account. For example, it is possible to have 1 joint account plus 2 individual accounts all under one Chase Premier Plus checking, and none will incur a monthly service fee when a qualifying requirement is met. Take your banking to a whole new level with a Chase Sapphire checking account. Image courtesy of Chase. Those who have large resources held in Chase checking, savings, and investment accounts can eliminate banking and associated transaction fees with the Chase Sapphire℠ Checking account. You can also enjoy the benefits of Chase Sapphire℠ Checking by simply paying the monthly service fee. Let’s see if the benefits of the Chase Sapphire℠ Checking outweigh the requirements. You don’t need heavy financial resources deposited with Chase to benefit from the Sapphire℠ Checking account. Even with a $25 monthly service fee, you may realize savings if you frequently use non-Chase ATMs, travel internationally, or have several family checking accounts that currently incur monthly fees. You can open a Chase Sapphire℠ Checking account online or visit a Chase branch; you can also upgrade an existing Chase checking account. Hot Tip: If you plan to open a Chase Sapphire℠ Checking account, be sure you check for special sign-up offers, like extra Ultimate Rewards Points! Students have specific banking needs. Being busy and on-the-go means digital banking services and easy access to their money are probably priorities. Chase’s student checking account does all that plus eliminates monthly fees and provides the tools a student needs to become more financially savvy. Let’s take a look at the features of a Chase College Checking℠ account. Monthly Service Fee: $0 for students ages 17-24 with valid student ID. A fee of $6 per month applies once the student has graduated or turns 25. With no fees during the college years, Chase College Checking℠ is an economical way for students to manage their money. After graduation, a direct deposited paycheck waives the monthly fee. Bottom Line: Geared toward the tech-savvy student who wants to build banking experience and learn how to manage their money, the Chase College Checking℠ account could be a great solution. The not-quite-ready for college set can still learn how to start managing money with a Chase High School Checking account. Students ages 14-17 can qualify for this special student checking account with their parent/guardian as a co-owner. Hot Tip: Non-U.S. students may also qualify to open a High School or College Checking account with proper ID, a residence address (U.S. or foreign), account opening funds, and their passport. Military members can save hundreds of dollars annually with Chase Military Banking. Image courtesy of Navy Mass Communication Specialist Anaid Banuelos Rodriguez. The Chase Premier Plus Checking account with Chase Military Banking benefits delivers a customized checking account tailored specifically to the needs of military members. If you’re a military member, Chase Military Banking benefits could potentially save you hundreds of dollars a year. Hot Tip: Chase’s Survivor Program eliminates the debt on mortgages, loans, credit cards, and more for those military members who have been killed in combat or lost their lives due to military service. To learn more about this program, contact Chase at 877-469-0110. For those special clients who carry a $250,000 or more total balance in qualifying Chase accounts, the benefits are many. Chase Private Clients receive access to special Chase products, priority services, and investment advice. They also receive fee waivers on their accounts and other elite benefits. If you want to learn more, we’ve created an ultimate guide to Chase Private Client banking. The rewards earned on a Chase credit card can help fund that family vacation. Image courtesy of Shutterstock.com. A rewards-earning Chase personal credit card can be a great complement to your personal Chase checking and savings accounts. Whether you want a card that earns rewards on everyday purchases or you’re looking to earn rewards on those travel purchases, Chase credit cards can do it all. When it comes time to redeem your rewards, you’ll have a lot of choices. First, even their cash-back credit cards earn rewards that can be redeemed for travel. Additionally, you’ll find travel statement credits, lounge access, and more travel value at redemption time with premium Chase credit cards. You can also earn a great sign-up bonus when meeting minimum initial spending after card approval. New Chase account bonuses can be hundreds of dollars! Image courtesy of Chase. We can all use some extra cash, and fortunately Chase often rewards its new customers with cash bonuses! When opening a Chase checking and/or savings account, you could be on your way to earning several hundred dollars. The amount varies, but when you’re ready to open a Chase account, you’ll want to check to find which bonuses are being offered. New account bonuses for student checking may or may not be offered when you’re ready to open an account. When you’re ready, check here to see if a bonus is currently being offered for a new student checking account. Have a current Chase checking or savings account and need a little cash? Just refer your friends (and family) — when they open an account with Chase, you’ll receive a $50 cash bonus. You can refer up to 10 friends per year for a total of $500 extra cash in your account. To get started, copy your unique referral URL link generated when you access the refer a friend page and share via social media or email. You can also request Chase to send your friend a personal email invitation (but it can take several days). Your friend must use either link to apply for their account to ensure you receive your bonus. Hot Tip: New account and referral bonuses are considered interest, so they are taxable income. You will receive a 1099 form from Chase at the end of the calendar year for the amount of the bonus. I’m obviously a Chase fan, but it’s a valid love affair. I have several Chase checking accounts, savings accounts, an auto loan, previous mortgages, and a large collection of their credit cards. I definitely value the long-term relationship I’ve built with Chase, including my extended credit history with them. My bias is also fueled by the thousands of dollars in travel I earn every year with Chase Ultimate Rewards points and statement credits. The travel perks of lounge access and the 50% more value I receive when redeeming points with my Chase Sapphire Reserve® add plenty of additional awesomeness! The bottom line, of course, is whether Chase can add as much value for you. 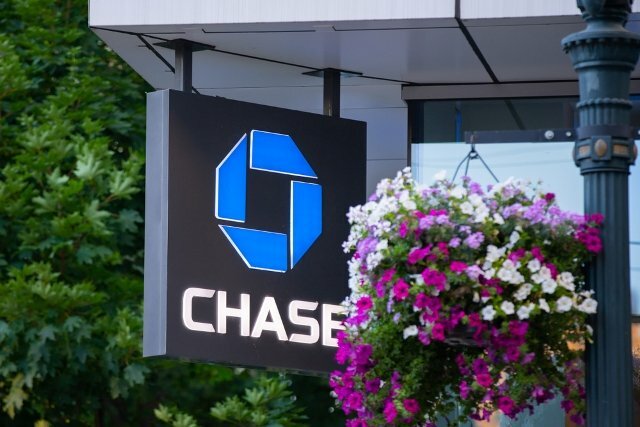 I think you’ll find that the whole package of what Chase can do, starting with one of their personal checking accounts, is worth considering a relationship with an institution that offers so much. What is the best Chase checking account? Your budget and your personal financial situation will determine which checking account is the best for you. The most popular Chase checking account is the Total Checking account because the monthly service fee is waived if you have just 1 direct deposit of $500 or more during each statement period. If you are a military member or college student, you’ll find tremendous value with Chase College Checking or Chase Premier Plus Checking account with Military Banking benefits. Both accounts eliminate any monthly service fees with qualifying ID. How much does Chase give you for opening an account? New account bonuses can vary. At times, they have offered as much as $500 for opening both a checking and savings account. Before opening an account, you can check the Chase.com website to see if there is a current offer. And don’t forget that once you have a Chase checking or savings account, you can refer friends and earn even more cash bonuses. Can I open a Chase checking account online? Yes, you can open a Chase checking account online. Just go to Chase.com and click on “open an account” to begin. Prior to opening an account, you’ll want to review the types of checking accounts available and select one that meets your budget and financial requirements. You’ll also want to see if there are any cash bonuses offered for signing up for a new account. If there are, you can still open the account online by following the associated bonus link. You can also request a bonus coupon to take with you into a Chase branch to open the account and receive the bonus. How does Chase refer a friend work? If you have a current Chase checking or savings account, you can refer friends to open an account and receive a cash bonus. Refer-a-friend bonuses can change, but at some points you could refer up to 10 friends per 12-month period and earn $50 for each friend who opens an account. To refer a friend, you can go to Chase.com/referafriend/catchall and input your information to receive a unique URL link. You can use this link to invite friends on social media or send it in an email. You can also have Chase send an email to your friend, but it can take a few days to arrive. Your friends must use the special link in order for you to receive the bonus, which will be deposited into your account within 10 days after your friend opens the qualifying account.